This article was originally posted during the first week of 43 Folders' existence, and, pound for pound, it remains one of the most popular page on the site. Please be sure to also visit related pages, browse our Hipster PDA topic area, plus, of course you can search on the Hipster PDA across our family of sites. The Hipster PDA (Parietal Disgorgement Aid) is a fully extensible system for coordinating incoming and outgoing data for any aspect of your life and work. It scales brilliantly, degrades gracefully, supports optional categories and “beaming,” and is configurable to an unlimited number of options. Best of all, the Hipster PDA fits into your hip pocket and costs practically nothing to purchase and maintain. Let’s make one together. For you hotrods who like to tweak your equipment, I’ll note a few mods you might make to the basic configuration. Consider picking up some different kinds of cards—different colors, lined and unlined. Buy yourself a Fisher Space Pen. I’ll post more on this later (since I’m a bit obsessed with them), but The Fisher Bullet model is tiny, sturdy, and surprisingly comfortable to use. And, thanks to its famous nitrogen-forced ink well technology, the Space Pen writes upside down, underwater, and—yes I’ve tested it— through a pat of rich, creamery butter. It’s the perfect stylus for your new Hipster PDA. Fellow fans of Getting Things Done will instantly see the application here. 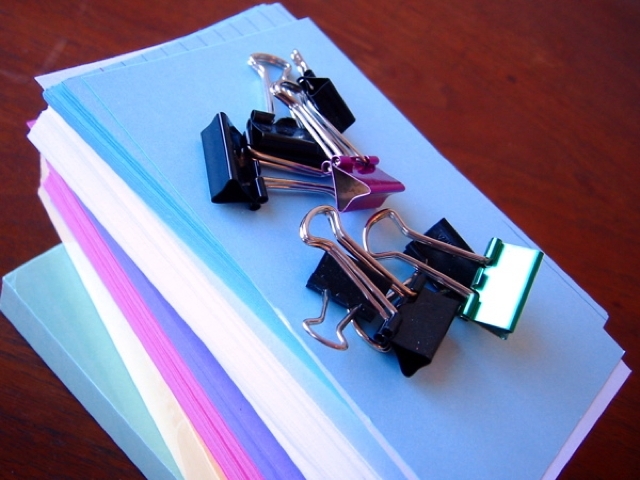 Try using a separate index card for each potential inbox item you want to track. This requires carrying a few more spare cards around, but it helps ensure you “close the loop” as soon as the throught occurs to you. When you get back to the office or home (wherever your physical inbox resides), you can toss all your new notes into the pile and process them like you would any other incoming items. Alternatively, you can base a whole GTD system around index cards, sorting them into piles for “Next Actions,” “Waiting,” “Sometime,” and so on. Whatever works for you. 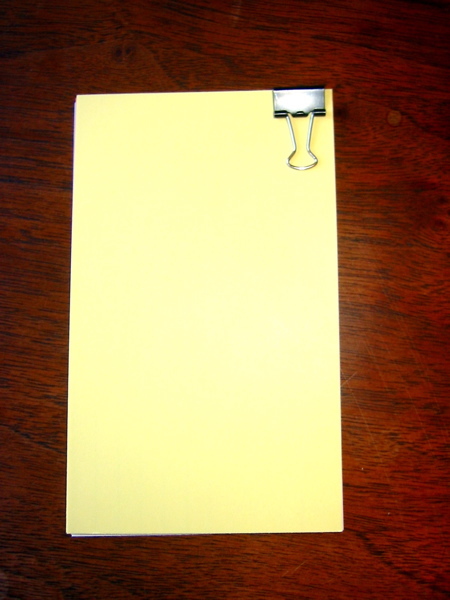 43 Folders: Index Cards - All 43F posts pertaining to index cards. Hipster PDA - 43FoldersWiki - The ever-expanding main entry on the 43F wiki. More links available there. 43 Folders: Index Card Printer Review: Canon Pixma iP3000 - Our review of the Canon printer we purchased primarily for printing to index cards. Based partly on suggestions from readers on this 43 Folders post as well as this Google Group post, this review features short capsules of other recommendations from readers as well. John Norris - John's made some very creative index card templates--including a sundial!